عباسی, رسول, حیدری, حسین, پل, محمد حسین. (1395). بررسی تجربی تاثیر افزودن نانو‌لوله‌های کربنی بر جدایش بین لایه‌ای ناشی از سوراخ‌کاری کامپوزیت شیشه/اپوکسی. علوم و فناوری کامپوزیت, 3(3), 225-232. رسول عباسی; حسین حیدری; محمد حسین پل. "بررسی تجربی تاثیر افزودن نانو‌لوله‌های کربنی بر جدایش بین لایه‌ای ناشی از سوراخ‌کاری کامپوزیت شیشه/اپوکسی". علوم و فناوری کامپوزیت, 3, 3, 1395, 225-232. عباسی, رسول, حیدری, حسین, پل, محمد حسین. (1395). 'بررسی تجربی تاثیر افزودن نانو‌لوله‌های کربنی بر جدایش بین لایه‌ای ناشی از سوراخ‌کاری کامپوزیت شیشه/اپوکسی', علوم و فناوری کامپوزیت, 3(3), pp. 225-232. عباسی, رسول, حیدری, حسین, پل, محمد حسین. بررسی تجربی تاثیر افزودن نانو‌لوله‌های کربنی بر جدایش بین لایه‌ای ناشی از سوراخ‌کاری کامپوزیت شیشه/اپوکسی. علوم و فناوری کامپوزیت, 1395; 3(3): 225-232. Durao, L.M.P. Tavares, J. M. R. S. de Albuquerque, V. H. C. and Goncalves, D. J. S., “Damage Evaluation Of Drilled Carbon/Epoxy Laminates Based On Area Assessment Methods”,Composite Structures, Vol. 96, pp. 576-583, 2013. Velayudham, A. Krishnamurthy, R. and Soundarapandian, T., “Evaluation Of Drilling Characteristics Of High Volume Fraction Fibre Glass Reinforced Polymeric Composite”, International Journal of Machine Tools and Manufacture, Vol. 45, No. 4–5, pp. 399-406, 2005. Akbari, S. Taheri-Behrooz, F. and Shokrieh, M.M., “Characterization Of Residual Stresses In A Thin-Walled Filament Wound Carbon / Epoxy Ring Using Incremental Hole Drilling Method”, Composites Science and Technology, Vol.94, pp.8-15, 2014. Liu, D. Tang, Y. and Cong, W. L., “A Review Of Mechanical Drilling For Composite Laminates”, Composite Structures, Vol. 94, No. 4, pp. 1265-1279, 2012. Lachaud, F. Piquet, R. Collombet, F. and Surcin, L., “Drilling Of Composite Structures, Composite Structures”, Vol. 52, No. 3–4, pp. 511-516, 2001. Davim, J. P. and Reis, P., “Study Of Delamination In Drilling Carbon Fiber Reinforced Plastics (CFRP) Using Design Experiments”, Composite Structures, Vol. 59, No. 4, pp. 481-487, 2003. Lazar, M.B. and Xirouchakis, P., “Experimental Analysis Of Drilling Fiber Reinforced Composites”, International Journal of Machine Tools and Manufacture, Vol. 51, No. 12, pp. 937-946, 2011. Campos Rubio, J. Abrao, A.M. Faria, P.E. Correia, A.E. and Davim, J.P., “Effects Of High Speed In The Drilling Of Glass Fibre Reinforced Plastic: Evaluation Of The Delamination Factor”, International Journal of Machine Tools and Manufacture, Vol. 48, No. 6, pp. 715-720, 2008. Sonkar, V. Abhishek, K. Datta, S. and Mahapatra, S.S., “Multi-Objective Optimization In Drilling Of GFRP Composites: A Degree Of Similarity Approach”, Procedia Materials Science, Vol. 6, pp. 538-54, 2014. Mohan, N.S. Kulkarni, S.M. and Ramachandra, A., “Delamination Analysis In Drilling Process Of Glass Fiber Reinforced Plastic (GFRP) Composite Materials”, Journal of Materials Processing Technology, Vol. 186, No. 1–3, pp. 265-271, 2007. Hocheng, H. and Tsao, C.C., “Effects Of Special Drill Bits On Drilling-Induced Delamination Of Composite Materials”, International Journal of Machine Tools and Manufacture, Vol. 46, No. 12–13, pp. 1403-1416, 2006. Durão, L.M.P. Gonçalves, D.J.S. Tavares, J. M.R.S. de Albuquerque, V.H.C. Aguiar Vieira, A. and Torres Marques, A., “Drilling Tool Geometry Evaluation For Reinforced Composite Laminates”, Composite Structures, Vol. 92, No. 7, pp. 1545-1550, 2010. Grilo, T.J. Paulo, R.M.F. Silva, C.R.M. and Davim, J.P., “Experimental Delamination Analyses Of Cfrps Using Different Drill Geometries”, Composites Part B: Engineering, Vol. 45, No. 1, pp. 1344-1350, 2013. Azmi, A.I., “Monitoring Of Tool Wear Using Measured Machining Forces And Neuro-Fuzzy Modelling Approaches During Machining Of GFRP Composites”, Advances in Engineering Software, Vol. 82, pp. 53-64, 2015. Varatharajan, R. Malhotra, S.K. Vijayaraghavan, L. and Krishnamurthy, R., “Mechanical And Machining Characteristics Of GF/PP And GF/Polyester Composites”, Materials Science and Engineering: B, Vol. 132, No. 1–2, pp. 134-137, 2006. Khashaba, U.A., “Delamination In Drilling GFR-Thermoset Composites”, Composite Structures, Vol. 63, No. 3–4, pp. 313-327, 2004. Khashaba, U.A. Seif, M.A. and Elhamid, M.A., “Drilling Analysis Of Chopped Composites”, Composites Part A: Applied Science and Manufacturing, Vol. 38, No. 1, pp. 61-70, 2007. Capello, E., “Workpiece Damping And Its Effect On Delamination Damage In Drilling Thin Composite Laminates”, Journal of Materials Processing Technology, Vol. 148, No. 2, pp. 186-195, 2004. Tsao, C.C. Hocheng, H. and Chen, Y.C., “Delamination Reduction In Drilling Composite Materials By Active Backup Force”, CIRP Annals - Manufacturing Technology, Vol. 61, No. 1, pp. 91-94, 2012. Karnik, S.R. Gaitonde, V.N. Rubio, J.C. Correia, A.E. Abrao, A.M. and Davim, J.P., “Delamination Analysis In High Speed Drilling Of Carbon Fiber Reinforced Plastics (CFRP) Using Artificial Neural Network Model”, Materials & Design, Vol. 29, No. 9, pp. 1768-1776, 2008. Baur, J. and Silverman, E., “Challenges And Opportunities For Nanotechnology In Multi-Functional Composite Structures (Preprint) ”, DTIC Document, 2006. Biercuk, M. Llaguno, M. C. Radosavljevic, M. Hyun, J. Johnson, A.T. and Fischer, J.E., “Carbon Nanotube Composites For Thermal Management”, Applied physics letters, Vol. 80, No. 15, pp. 2767-2769, 2002. Gojny, F.H. Wichmann, M.H.G. Fiedler, B. Kinloch, I.A. Bauhofer, W. Windle, A.H. and Schulte, K., “Evaluation And Identification Of Electrical And Thermal Conduction Mechanisms In Carbon Nanotube/Epoxy Composites”, Polymer, Vol. 47, No. 6, pp. 2036-2045, 2006. Shekar, K.C. Prasad, B.A. and Prasad, N.E., “Interlaminar Shear Strength Of Multi-Walled Carbon Nanotube And Carbon Fiber Reinforced, Epoxy – Matrix Hybrid Composite”, Procedia Materials Science, Vol. 6, pp. 1336-1343, 2014. Li, N. Li, Y. Zhou, J. He, Y. and Hao, X., “Drilling Delamination And Thermal Damage Of Carbon Nanotube/Carbon Fiber Reinforced Epoxy Composites Processed By Microwave Curing”, International Journal of Machine Tools and Manufacture, Vol. 97, pp. 11-17, 2015. Davim, J.P. R. and Abrao, A.M., “A Novel Approach Based On Digital Image Analysis To Evaluate The Delamination Factor After Drilling Composite Laminates”, Composites Science and Technology, Vol. 67, No. 9, pp. 1939-1945, 2007. Zarif Karimi, N. Heidary, H. and Ahmadi, M., “Residual Tensile Strength Monitoring Of Drilled Composite Materials By Acoustic Emission”, Materials & Design, Vol. 40, pp. 229-236, 2012. Mishra, R. Malik, J. Singh, I. and Davim, J.P., “Neural Network Approach For Estimating The Residual Tensile Strength After Drilling In Uni-Directional Glass Fiber Reinforced Plastic Laminates”, Materials & Design, Vol. 31, No. 6, pp. 2790-2795, 2010. Kilickap, E., “Optimization Of Cutting Parameters On Delamination Based On Taguchi Method During Drilling Of GFRP Composite”, Expert Systems with Applications, Vol. 37, No. 8, pp. 6116-6122, 2010. Vankanti, V.K. and Ganta, V., “Optimization Of Process Parameters In Drilling Of GFRP Composite Using Taguchi Method”, Journal of Materials Research and Technology, Vol. 3, No. 1, pp. 35-41, 2014.
 sunny, T. Babu, J. and Philip, J., “Experimental Studies On Effect Of Process Parameters On Delamination In Drilling GFRP Composites Using Taguchi Method”, Procedia Materials Science, Vol. 6, pp. 1131-114, 2014. 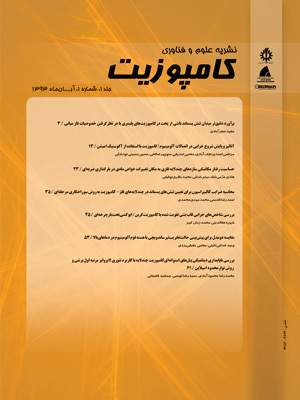 Sadeghi, M. and Pol, M.H., “Experimental Investigation Of The Effect Of The Addition Of Carbon Nanotubes On The Quasi-Static Punch Shear Penetration Of The Laminated Glass/Epoxy Composite”, In Persian, Modares Mechanical Engineering, Vol. 15, No. 12, pp. 416-424, 2015.